GUEST POST: Diva Dangler Earring of the Month Club! 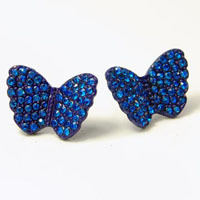 FREE Shipping & 2 pairs FREE Earrings! Guest Post by Momming on a Budget! I love accessories! And I love having a different look every day. I am never satisfied with the same old, same old, but accessories can be pricey and keeping up with the trends, exhausting! I found a new way to keep up and save my wallet at the same time with this awesome, inexpensive service that delivers new earrings and a new style to your door every month. The Diva Dangler Earring of the Month Club is an amazing way to accessorize and keep your look fresh. You will be the envy of every accessory obsessed diva on the block!! We all know how much trendy accessories can cost, but what would you say if I told you that this amazing club is only $9.95 per month. It gets even better! Just for being a Win, Lose, or Blog follower, you get FREE shipping and two months of earrings FREE!!! Just use the promo code WINLOSE for our special free bonuses!! Is is working properly. The $1.50 is the free shipping and because she used the code, they know they need to ship her two free months. Please let her know and they will double check that all went through with her order. Thank you!! !